Happy Thanksgiving Week! Today we’re sharing Digital Designs Inspiration Epiphany. 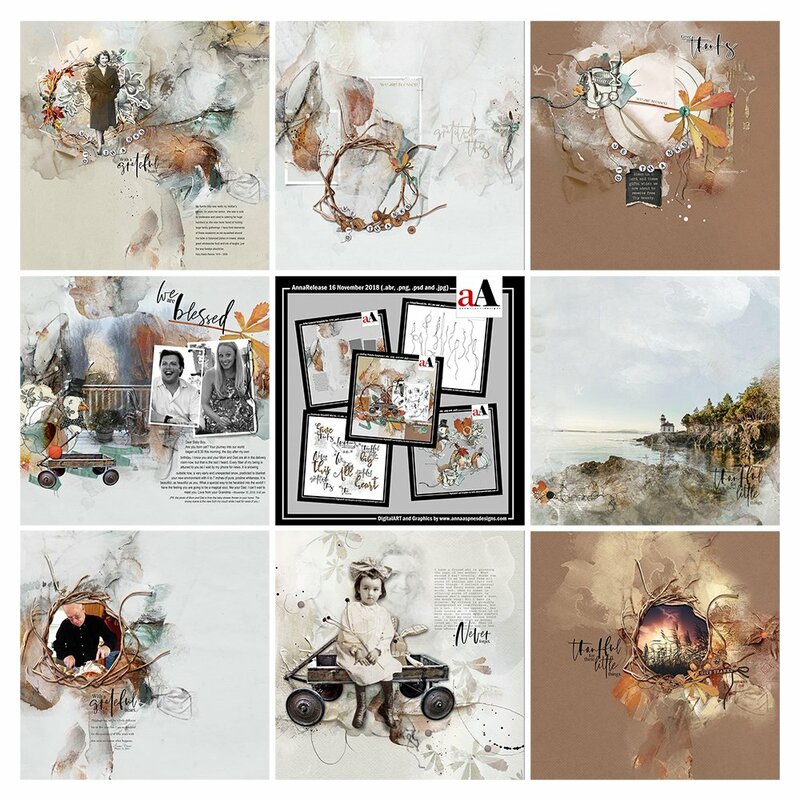 AnnaRelease Epiphany, is the latest collection of digital designs for scrapbookers, photographers, artists and crafters to be released into the Anna Aspnes Designs store. The aA Creative Team sharing their gratitude in ArtPlay Palette Epiphany and injecting little harvest into their artistry. 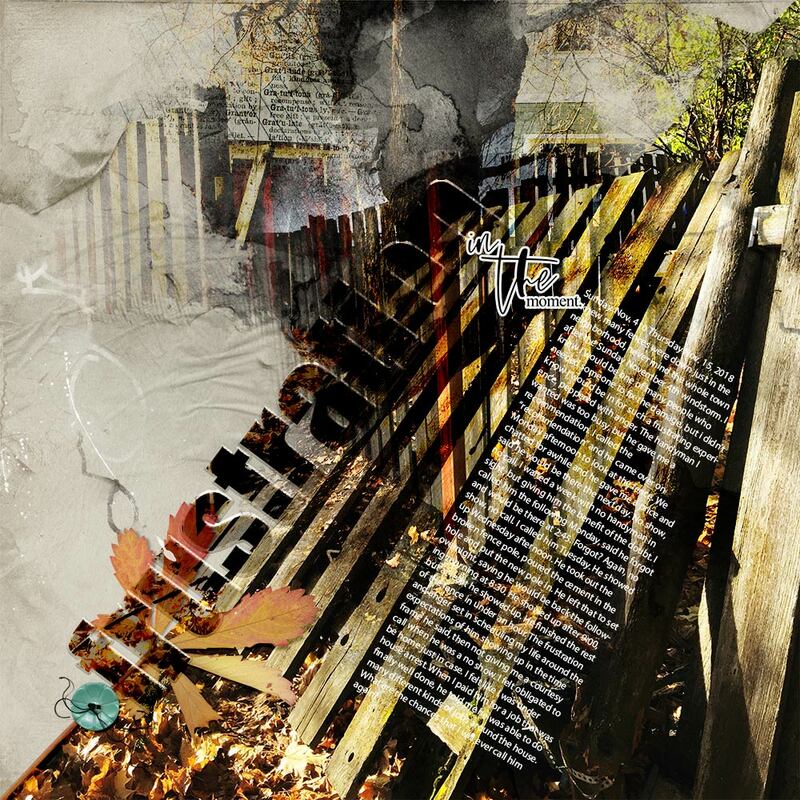 More digital designs inspiration Epiphany of course, can be located in the AnnaGallery. 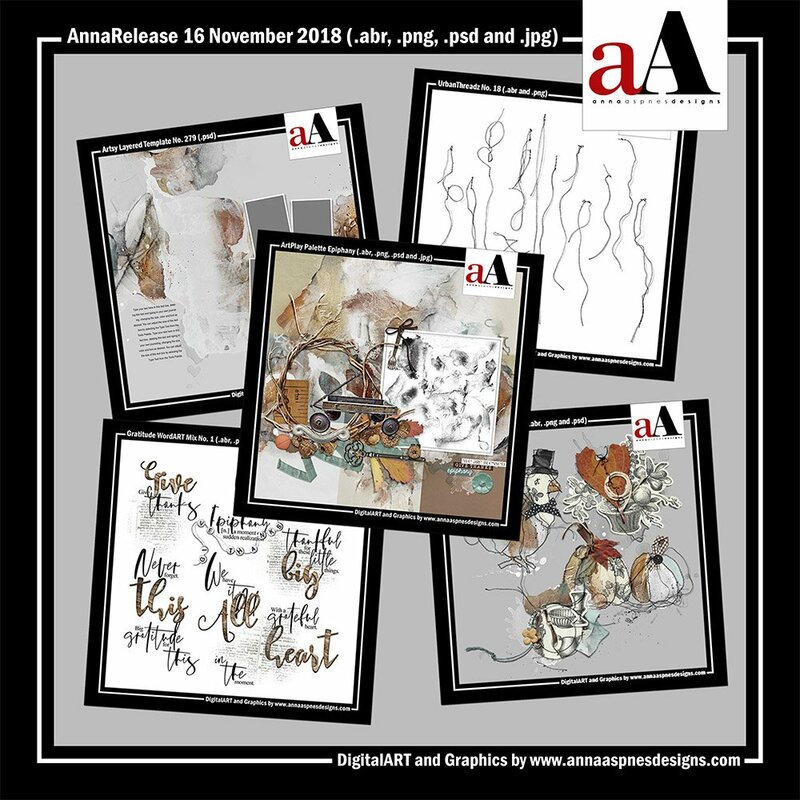 Note that the AnnaRelease bundled option is only available until November 23, 2018 at 9am EDT..
Click on the image below to view more digital designs inspiration ‘Epiphany’ or visit the AnnaTeam Layouts board on Pinterest. Use one or more elements to draw focus to your subject photo. Place the embellishments behind your photo layer to create a foundation for your photo, which leads the eye and creates a focal point. Notice how Fiona also created a stunning effect by extracting her image, mirroring the clean lines in her chosen embellishments. Create contrasting angles to create tension in your design. You can play with aligning elements and intersecting angles to establish visual interest. 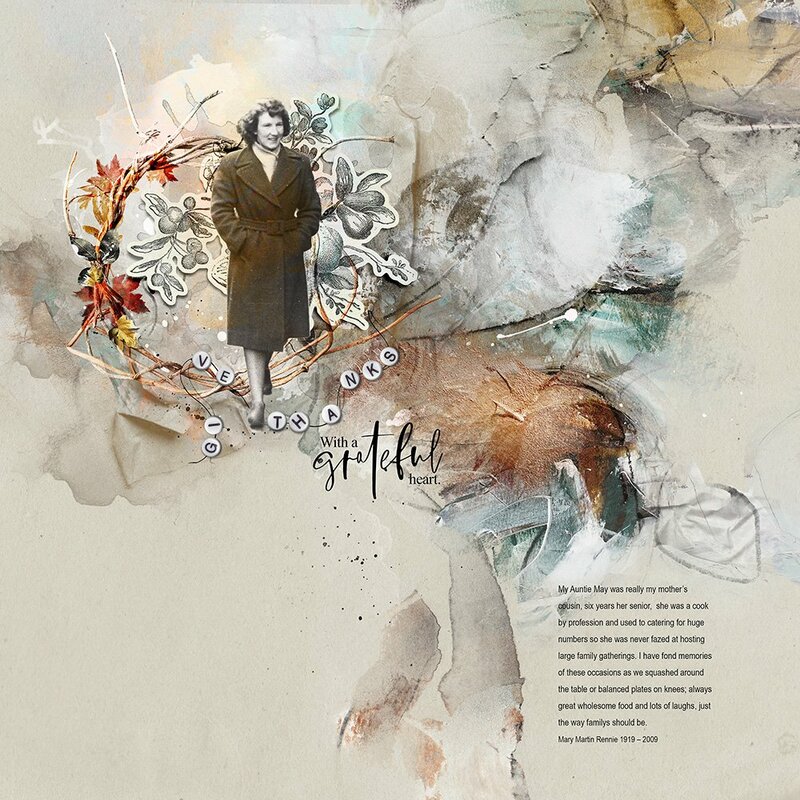 Notice how Barbara has placed the text in her digital artistry layout to achieve this effect. Arrange one or more transfers and overlays from an ArtPlay Palette. This approach will enable you to create a custom artsy design that best suits your photos. Notice how Linda has placed the transfers to create a matte for her framed photo. 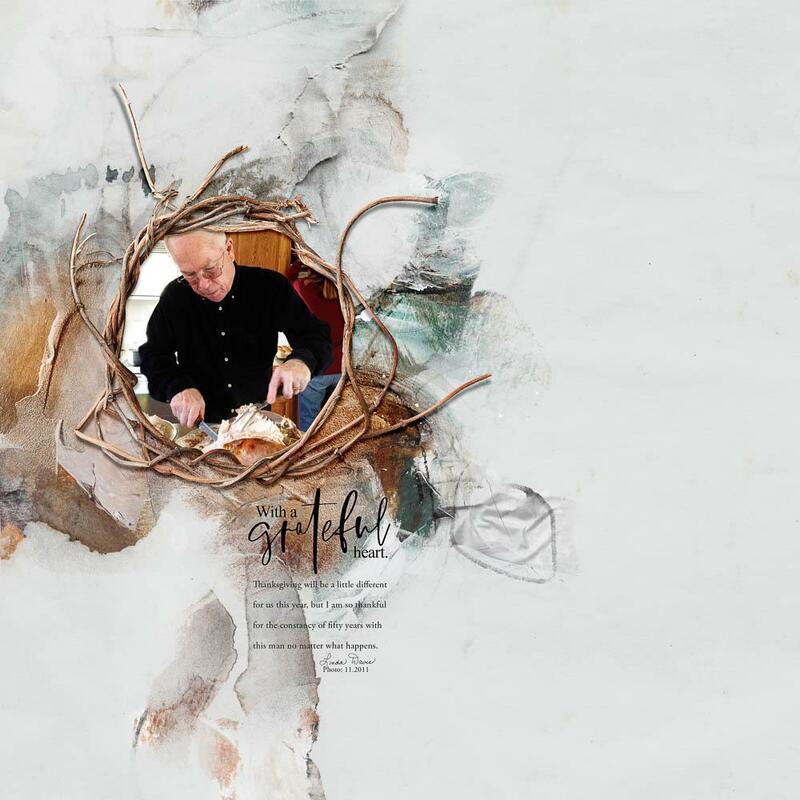 Find more Digital Designs Inspiration Epiphany in the AnnaGallery.